AGENT'S COMMENTS A hidden world awaits you behind the modest façade of this charming home that offers well presented accommodation of a high standard both inside and out. 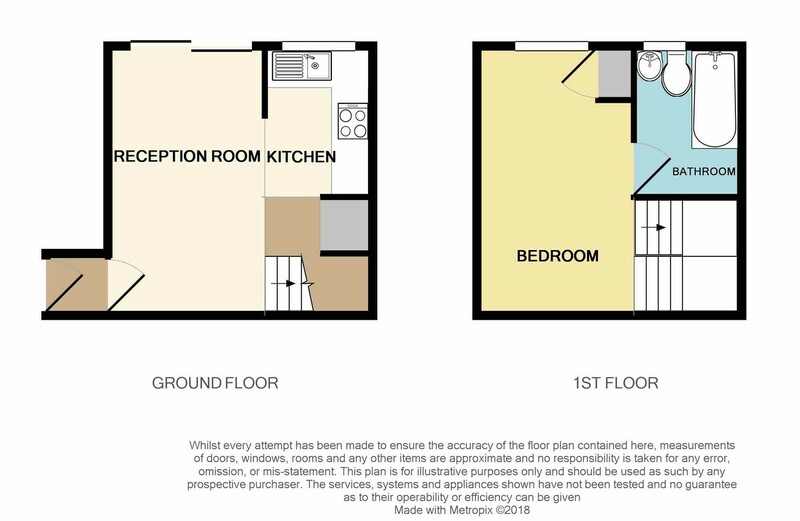 Open plan accommodation comprises of lounge/dining area with kitchen. A set of patio doors look over and provide access to the secure landscaped rear garden, which offers decking and artificial turf areas, a beautiful pond and wow factor entertaining bar area. It's easy to imagine you and your friends gathered around this area making the most of a long summers day; cooking on the barbecue with a beer in hand. Upstairs, there is a large double bedroom with its own bathroom. In addition to the stunning garden, there is a driveway to the side for two cars as well as two further parking spaces in the resident's car par at the rear. Upper Ventnor sits in between the Victorian seaside town of Ventnor and the countryside village of Wroxall. Between the coast and the country, there is always plenty to do, from walks around the historic Appuldurcombe estate to enjoying an ice cream whilst sitting on Ventnor seafront, you'll never tire of what this southern tip of the island offers. A small dog may be considered.